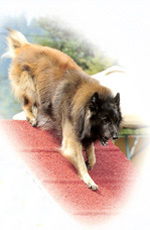 Started by a group of about 15 dog lovers in August of 1946, WSOTC is the only AKC obedience member club in the state. The program for the first meeting was Blanche Sanders’ movie on novice obedience. Our first obedience trial was held in 1949, with 36 entries. Over the years our trials have been held in various locations including Seattle Center and Magnuson Park. Our 100th trial was in 2011 at Magnuson Park. We changed our spring trial location to Evergreen Fairgrounds in Monroe in 2012. In 2015, we moved that trial to Fun Fur Paws in Mt. Vernon which continues to be our spring trial location. We added a fall trial for the first time in a long time to Family Dog Training Center in 2014, and after a year's hiatus, will also hold a fall trial there in November 2017. 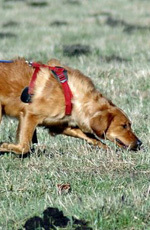 Tracking tests were added in 1964, agility trials in 2001, and rally obedience in 2005. Back to back obedience and rally trials are held in early spring, Agility trials in July, and TD and TDX tests in the fall. Obedience classes were held from the early years, in the early 1950’s in an armory, large enough to hold four classes at one time. For a brief period, we had classes in a building that the club purchased, though that soon proved to be inadequate in terms of size and expense. For many years the Club held classes at Lake City Community Center and other locations, but several years ago, the Club decided to end classes and concentrate on other activities. We are planning an obedience seminar with Connie Cleveland in September, 2018. 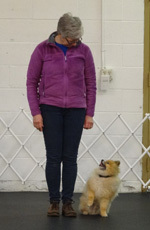 Meetings are held 8-10 times a year at Club events or at other obedience trials or other locations. Check the calendar to see the schedule. New members are always welcome. Other club activities include public education, obedience and rally matches, donations to dog-related charities in years when income exceeds expenses, educational programs for members and social activities.